For The Rod Glove's Canadian Pro Staff Peter Bartonek, his introduction with competitive fishing started at a young age. Having had his Father pass away early in his life, Peter spent most of his time growing up fishing with his friends. He would head out on a Grey Hound bus to fish at Caledonia in the river alongside his buddies. Having a competitive nature, Peter decided to enter tournament angling during his college years at Sir Samford Fleming. His first tournament was on Rice Lake and he enjoyed the experience of fast fishing and fishing to win. Over the years he has had a career working on charter boats out of Bronte fishing with clients for salmon and trout. After settling down he returned to bass fishing. Peter and his partner have fished many tournaments together and have won the CSFL Team of the Year, Angler of the Year and most recently in 2015, Renegade Bass Team of the Year. On his experience with The Rod Glove, Peter says, "I find this stuff most useful for my non boaters. This way they can keep their rods organized and they don't get tangled up and waste valuable fishing time messing with them when we stop to fish." 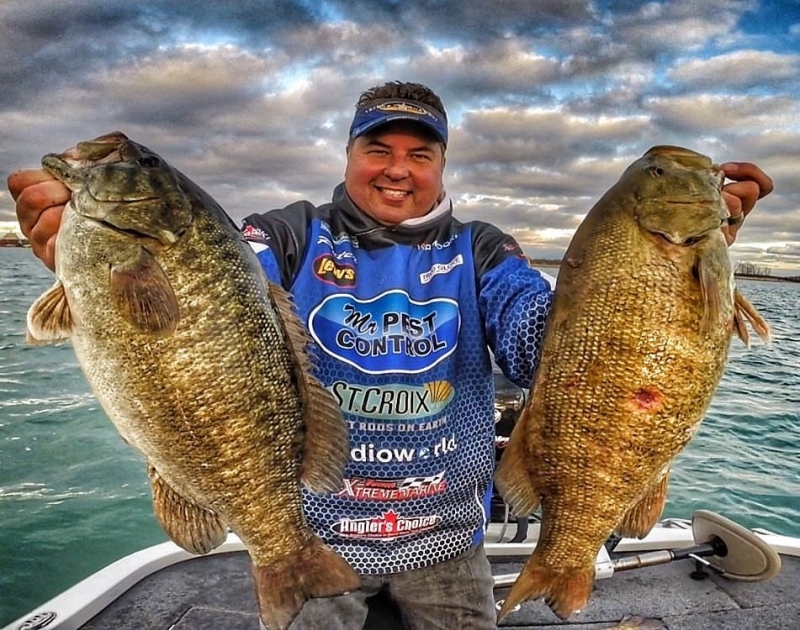 Having spent a lot of time in tournaments and on the water fishing, Peter's advice to young anglers just starting out is to 100% utilize the tournaments through CBAF, and Bassmasters. There you will learn boat etiquette, techniques, find your own water, patterning your own fish and become comfortable with the techniques that you know. Peter's wife has a saying "Fish can feel your nervousness" and to overcome this he says you must be confident in yourself. Peter's plans for the 2016 season include defending his title at Renegade Bass, participating in fun tournaments through Fatt Bass and competing in the Northern Bassmaster Elite Open. Peter uses the Bait Glove, The Rod Gloves and the Rod Glove Wrapz.